Happy Saturday, ya'll! It's been a super busy, crazy week, so I'm so happy to just have a slow morning to sip my coffee and enjoy breakfast with the Mr. before he heads to work. I wanted to write this morning because I've been asked a thousand times this week... what's your story? How are you doing this? I know I have a lot of new friends following my journey because a lot of people in my tribe were inspired by a transformation picture I posted on Thursday. I've had the pleasure of having lots of conversations and connections for which I'm so happy about! I love telling my story. I always hope to inspire someone to never give up! Most of you remember the days when I first started blogging on SkinnyHollie exactly EIGHT years ago this month! Crazy, right? 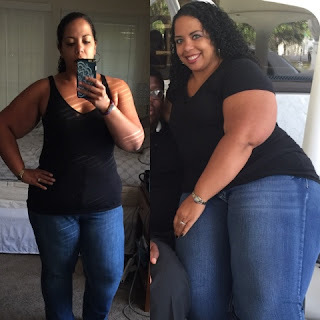 When I first started blogging, I had reached my highest weight ever (333 lbs) and was desperately working the Weight Watchers plan to try to get my weight down. I was CLUELESS about nutrition and fitness back then. But I knew how to count points... My favorite low-point treat was toast made with white bread and jelly before bed every night (side-eye). Since starting my blog in 2008, I have literally tried every fad diet on the market. When Weight Watcher's didn't work for me anymore, I tried MULTIPLE other things, including Medifast, Isagenix, Body by Vi, Garcinia pills, Phentermine, B12 shots, low carb, very low carb, green smoothie cleanses, juicing, starvation, Slim Fast, pre-packaged food, low fat, high protein, 1200-calorie SADNESS... you name it. And in my lifetime, even before blogging, I've done it. I've literally been on a diet since I was 7 years old. At age 7 I was 160 lbs. I remember the day in my pediatrician's office where my doctor told my mom I needed to stop gaining weight. Even to my young ears, I knew that translated to "she's fat", but I already knew that. Kids made fun of me relentlessly. Not only was I the only mixed kid at my school, I was also nerdy and fat. So I cried all the way home. Until my mom stopped and bought me an ice cream cone to make it better. But I remember the salads in my lunch box. I remember being given 7up instead of my usual Pepsi (I guess momma thought that clear soda was better than dark soda?). I remember Sweating to the Oldies with Richard Simmons and being made to ride momma's old exercise bike while watching TV after school. But it didn't make me lose weight. It taught me to binge. Instead of eating less, I learned to eat in secret. Since my house was still full of processed, sugary foods, I started binging on bowls of cereal before my mom got home. I learned how to hide food in my room to eat late at night. I stopped at the convenient store for candy and soda on the walk home from school. I had my ways. And it was the beginning of overeating feeling like guilt and shame. In sixth grade I wore a size 16 from the women's section. By middle school I was a size 18/20. I graduated from high school at a size 24 women's and hung out at that size for quite a while. Until I discovered Phen-Fen when I was around 20. My mom and I would drive from TN to KY every month to see a doctor there. And we were both successful! It was the first time that I saw that restriction and starvation could work! And these magic pills made it easy. I got down to around a size 18 before they were removed from the market and I got pregnant with my first child. And of course, regained every pound. 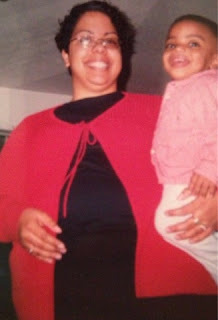 By the time my daughter was two, I was back up to 280 lbs. This is when I met my husband, and very quickly after getting with him I was 300+ lbs (lots of cooking and eating). I stayed here for about 3 years until we both weighed ourselves at one of those electronic scales outside the restrooms at the mall one day. 329 lbs. Again, I cried all the way home. Because Clyde was also at his all-time highest weight (304 lbs), he decided that we needed to lose weight together, and that did help. But we were CLUELESS about nutrition or how to cook and eat healthy. So we literally started eating Special K cereal every morning and Lean Cuisine for lunch and dinner. This makes me laugh NOW, but we were trying! We also walked at the park every evening for exercise. And guess what... we did see success! He lost weight really fast (because he's a man, duh) but I stalled out around 270 (story of my life). 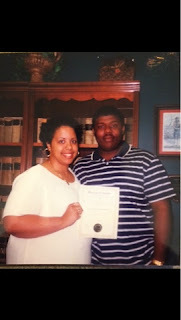 That's the first time I tried Weight Watchers, and with that plan successfully met my goal of 100 lbs lost (229 lbs) by my 10-year class reunion in 2004. Eventually Weight Watcher's stopped working, so I did have a period where I went back on Phentermine in 2005 and starved myself down to a size 16. I look at pictures of that time and CRINGE because I looked so unhealthy. But it was also a time that my marriage was on rocks and I was drinking most of my calories in booze. But we reconciled, and I got pregnant and had a very hard pregnancy. I was on bedrest for 20 weeks. And since my husband doesn't cooked, I survived on a diet of fast food and processed junk the entire time. So guess what? I gained all my weight back AGAIN. That span of time after my last child was born until the conception of my blog in 2008 is a dark blur. Lots of depression. Lots of sadness. Lots of unhappiness. My marriage ended in January 2009. I blogged through that disaster, and it was then that I discovered that I could receive support from an online community of friends that I'd never even met face to face. Since 2009, my life and diet have had lots of ups and downs. But one thing that has been constant during that time is the amount of learning I've done about diet and exercise. I love learning... it's why I'm a teacher! But over the years, with every failed diet attempt, I've grown in knowledge from the experience. I've met others who have various plans that have worked for them, and through those people I have also learned what does NOT work for ME. I've tried to be vegan and discovered that beans and legumes make me feel like crap. I've tried juicing and green smoothies to discover that long term I get horrible bloating and still HATE vegetables. I've tried low carb with high protein and discovered that I'm not satisfied and BINGE terribly when I convince myself to have a 'cheat'. But one thing I learned in recent years, is that even though it almost always ended in binge behavior, low carb DID work for me, and with the elimination of sugar I felt so much better and had results on the scale. The only thing that kept me from being successful for a long time is that I felt DEPRIVED. I never thought that the low-carb lifestyle was something I could do long-term, because who can live without sweets forever? Not me! Birthday cake, ice cream, and CARBS are part of life, right? I mean, that's what EVERYONE says! Why should I eliminate these things from my diet? You see... this was my stumbling block. I didn't understand food addiction for a long time. I didn't understand that food can be a drug to your body, just like cocaine or alcohol. I didn't 'get' that to kick this habit, I would have to be abstinent from my drug of choice. I had to learn that some foods are off limits, not because they are bad or because most of society looks as them as harmless 'treats'. Everyone SAYS that moderation is okay, but why didn't that work for me? Why did 'moderation' always lead to binge-eating and guilt? Because moderation is not for everyone. I had to eliminate these foods because they were killing me. Everyone has to reach their point of being sick and tired of being sick and tired. After being semi-successful for a few years (2013-2014), I started really struggling again in 2015. I was in constant pain (due to PCOS and horrible endometriosis). I was planning a relocation to another state. And I was preparing to send two kids to college. After finally having a full hysterectomy in June 2015, and then moving to FL a week later, I was starting to feel like I was going to see a light at the end of the tunnel. But then my mom passed away, and job stress started killing me. I stuffed my feelings down with sugar and lots of delicious food and wine. 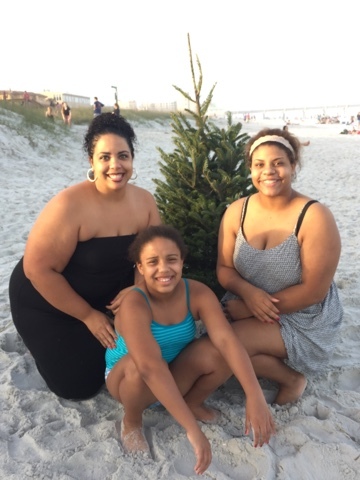 On Christmas Day, 2015, I looked at a picture of myself with my kids on the beach and I was shocked at what I saw. I was big. as. hell. I mean, I knew that I was well over 300 lbs again. My body told me every day. I limped around for hours each morning. My feet and knee pain were excruciating. My sciatica and back pain required constant Ibuprofen just to get around every day. My skin looked terrible. I was bloated ALL the time. None of my clothes fit. I was miserable. On December 28 I woke up and said that it was time to get started. I made a goal to lose 50 lbs by my 40th birthday on May 26, 2016. I tried to start out slow by lowering my carbs and eliminating just sweets for the first couple of weeks. 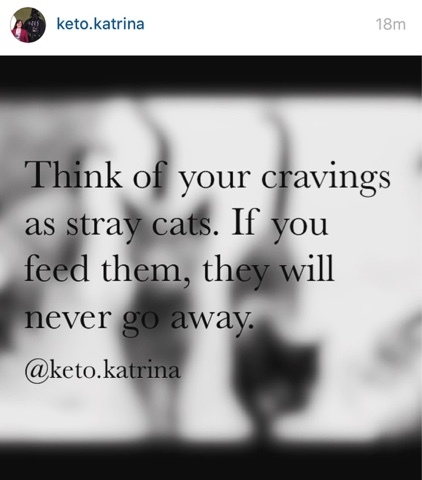 But my cravings were terrible and I was struggling to stay on track. I was DETERMINED to not be one of those people who fail by the second week of January. But it was so hard. 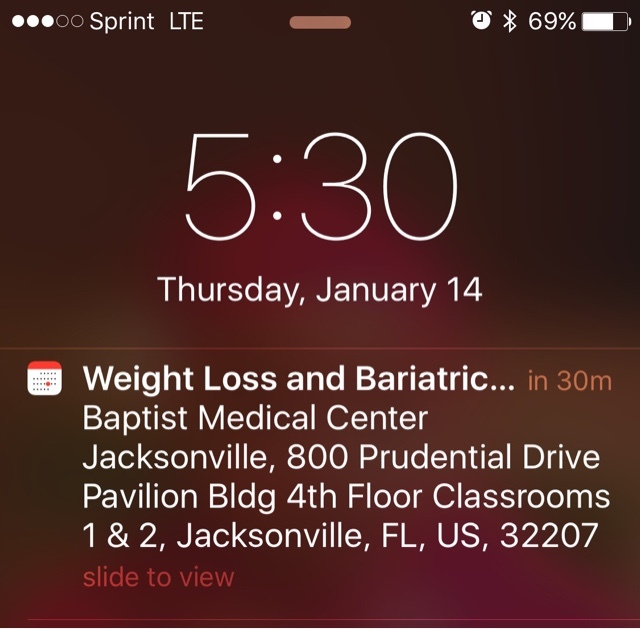 One day as I was crying and feeling frustrated, Clyde suggested that I just stop what I was doing and go see a bariatric doctor. "Just have the surgery, Hollie." The thought of quitting wasn't an option, but maybe surgery was what I needed. I'd tried and failed everything. I made an appointment to go to a seminar on January 14. But I knew. I just KNEW that surgery wouldn't help me if I didn't get my MIND right. I only know of a few people that have been successful long term with weight loss surgery. But I know COUNTLESS people who have had the surgery and after some success, gained back everything they'd lost. I had to TRY to do this myself before I would submit to surgery. I logged onto Instagram and saw a post by someone that I wasn't even following at the time that would end of up changing my life. So I started doing my research on the ketogenic diet and decided to go all in the last week of January. I had tried keto before, but looking back, I really didn't know what I was doing! It's more than just cutting your carbs low. You HAVE to get over our fear of fat and eat lots of it! You also have to make sure you're not eating too much protein. I invested lots of time LEARNING about this way of eating from people who were very successful. 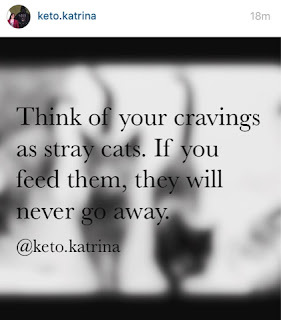 I followed Katrina and found other's through her and with the help of the Ketogenic Success group on Facebook. I quickly discovered this isn't a DIET, but a long term lifestyle. So I committed to it. NO cheats. Knowledge is power. I had to re-learn how to eat. I've been conditioned in diet dogma for so long (low calories, fat is bad, eat every 3 hours, exercise a lot, etc) that I had to unlearn everything and start over. I read countless books and online resources that open my eyes on the food industry and the lies they tell. 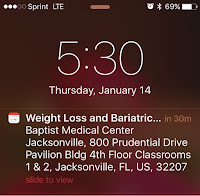 I learned about insulin resistance and how some of us just can't lose weight with restriction of calories. I finally began to understand why every diet failed me. I knew how to move forward and guess what? I've never looked back. I've been eating a low carb, high fat diet for 9 months now. I did struggle a bit during this summer because after I reached my 50 lb weight loss goal for my birthday I started cheating. Big mistake. But one I learned from. Those cheats stalled my weight loss, but I just had to decide to stay the course. 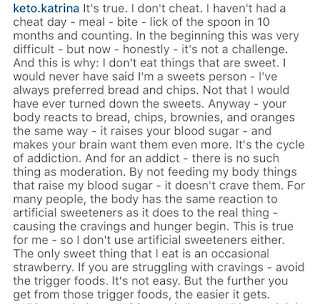 I know this way of eating works for me, but it only works if I stop cheating myself and my goals with food that is terrible for my body. I made a decision in August to STOP ANY cheating and to concentrate more on nutrition and fitness, and that change has helped me move past my plateau and start losing pounds again. I've also decided to start coaching and mentoring others on this journey who want to live healthier lives and overcome food addiction. Over the past several months I have been able to help dozens of people lose weight and finally see that they have the power to take their lives back. If the ketogenic diet and lifestyle is not something you're interested in for whatever reason, I also coach people to adopt a clean, nutritious diet along with portion control. Losing weight is not a quick fix. It's hard work and it takes determination. Self-discipline and consistency will get you healthier and increase the quality of your life. If someone offers you a quick fix or a gimmick... run the other way. Diet and nutrition are KEY. Fitness is good, but don't use it as punishment for bad food, or a substitute for diet and nutrition. I hope that my story will inspire someone to not give up. I pray that you will be motivated to learn about nutrition and give yourself a chance to live the best life possible. Obesity is not something that you have to define yourself by. It's possible to LIVE and not be miserable because your weight has made you sick and hopeless. Reach out to people around you and others who are fighting this battle. I will keep fighting for myself and everyone who needs my help. I've got big plans in the future to help people not only in my community, but EVERYWHERE end the trend of obesity. It can be done. I will never give up. Neither should YOU. Reach out to me at transforminghollie@gmail.com. Be my friend on Facebook and Instagram. I will help you in any way I can. 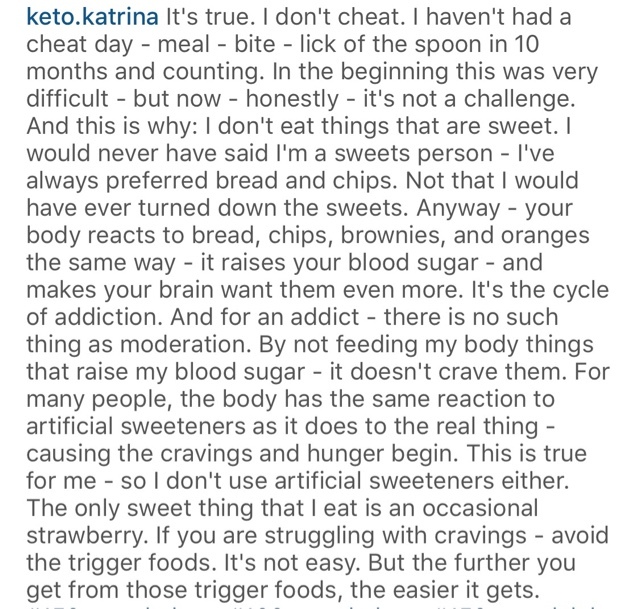 Your story is inspiring, and I understand eating low carb, but doesn't eating high fat raise your cholesterol? I'd like to know if eating this way raised yours before I start. Your story is very motivational, and I truly appreciate you sharing it. One interesting thing you said was that you had PCOS and endometriosis. Both of which I have been diagnosed with. I had laparoscopic surgery years ago to confirm the endometriosis. I recently went thru a long period of weight gain and went to a new physician, who told me there is no way for a person to have PCOS and Endometriosis. What I had was more bad estrogen than good estrogen, which acts like PCOS but is actually treatable. And over the last 2 months I have finally seen my hormones stabilize and weight come off. I only tell this information because "bad" estrogen is what give us women breast cancer, and for years I was told oh you have PCOS you just have to live with it, and I really didn't. Your blog interests us a lot. Specially for the amazing write ups.